Members of AKDER TURKISH FLUID POWER ASSOCIATION dined together on the Bosphorus strand. The dinner by the Bosphorus was attended by over 50 members. 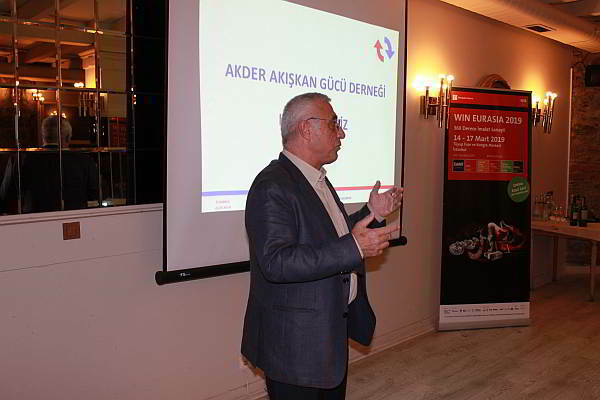 Mr Semih KUMBASAR, President of AKDER, shared updates on the association’s recent activities; notably on training programmes, the General Assembly of CETOP in Copenhagen, latest statistics and macroeconomic developments in Turkey. Information was shared on the upcoming WINEURASIA Exhibition, 14.-17. March 2019 by Hannover Messe attendants. Members who joined the dinner also found the chance to address the attendants with their updates and opinions. Founded in 1994, AKDER, with its 75 members, will celebrate its 25th establishment year in 2019.